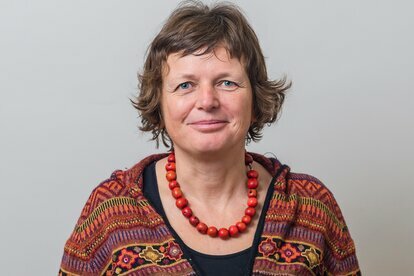 Esther Haldimann holds an MSc in Agronomy and has been working in international development cooperation since 1996. From 2004 onwards she served as Country Director for Helvetas in Asia and Latin America. In these and other assignments in Africa, Eastern Europe and Central Asia she has planned, coordinated and advised a series of projects, mainly related to natural resource management and rural economy. As Department Director, Esther currently co-leads a team of over 40 experts in providing thematic services to Helvetas programmes and projects and external clients.